Digital Download - River Log Cabin Quilt Pattern by Missouri Star - Missouri Star Quilt Co. - Missouri Star Quilt Co.
A clever mix of small and large strips turns into the illusion of offset circles. 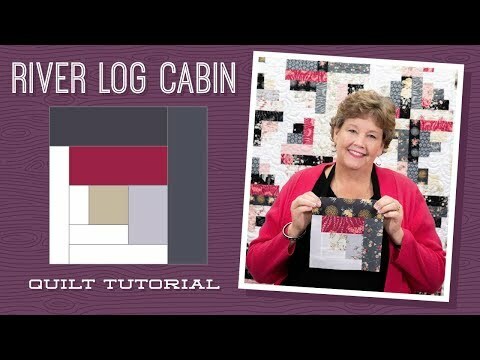 Try this rendition of a Log Cabin Quilt by MSQC guest designer, Amy Ellis of "Modern Neutrals" quilt fame. Finished size: 64" x 80"
Quilt pattern for 1.5" and 2.5" Strips.